LOCATION.--Lat 41°08'25", long 74°10'07" referenced to North American Datum of 1983, Rockland County, NY, Hydrologic Unit 02030103, on right bank, 105 ft downstream from highway bridge on New York State Thruway at Ramapo, 500 ft upstream from local bridge, and 0.3 mi upstream from Torne Brook. PERIOD OF RECORD.--Occasional low-flow and/or miscellaneous discharge measurements, water years 1936, 1952, 1956-58, 1977. June 1979 to current year. REVISIONS HISTORY.--WDR NY-81-1: 1980 (m). WDR NY-90-1: Drainage area. Discharge for the period Oct. 1, 2016 to Sept. 30, 2017, was revised on June 21, 2018, based on changes to the stage-discharge rating. GAGE.--Water-stage recorder, crest-stage gage, and concrete control. 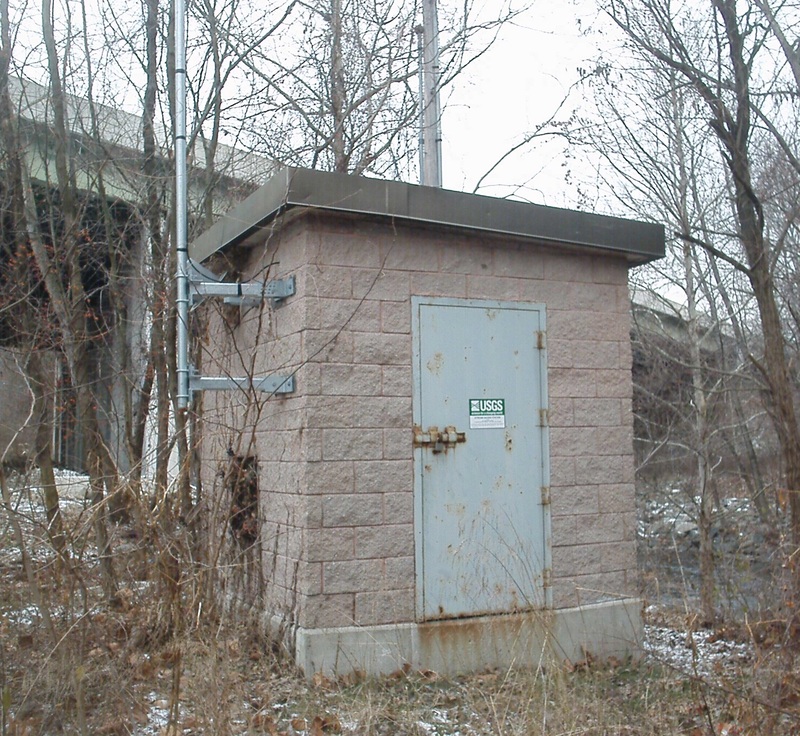 Datum of gage is 297.00 ft above NGVD of 1929 and 295.78 ft above NAVD of 1988. REMARKS.--Occasional regulation by Lake Sebago. EXTREMES FOR PERIOD OF RECORD.--Maximum discharge, 13,700 ft³/s, Aug. 28, 2011, gage height, 15.75 ft; minimum discharge, 5.3 ft³/s, Aug. 7, 1983, gage height, 1.27 ft.
EXTREMES OUTSIDE PERIOD OF RECORD.--Maximum discharge, 6,100 ft³/s, Mar. 12, 1936, by computation of flow over dam.